JAN 25 (FRI) 7:37 P.M.
JAN 26 (SAT) 7:07 P.M. Probably ranked #1 and CBS sports. Have we ever had those two jinxes at the same time before? Maybe they cancel each other out. Plus the CBS one has sort of ended. This is clearly a down North Dakota team but they've got some momentum so the crowd should be as nuts as usual. Adam Scheel has seven wins against ranked teams this season. Anyone know if Benson will be ready to go on Friday? VIDEO: Watch @UNDmhockey head coach Brad Berry as he talks to the media before this weekend's home series against St. Cloud State. Sid wrote: Anyone know if Benson will be ready to go on Friday? 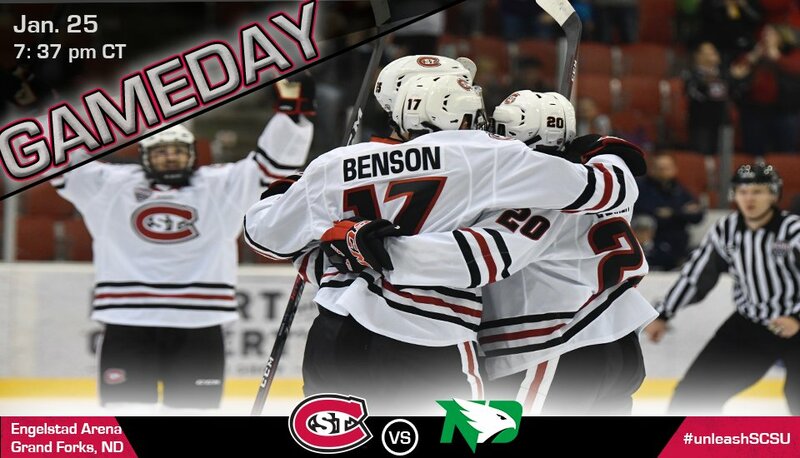 At 20:00 of the coaches show Jim Erickson specifically asks Brett Larson about Benson and he said "day to day, week to week... hopefully in the next week or two he'll be back." 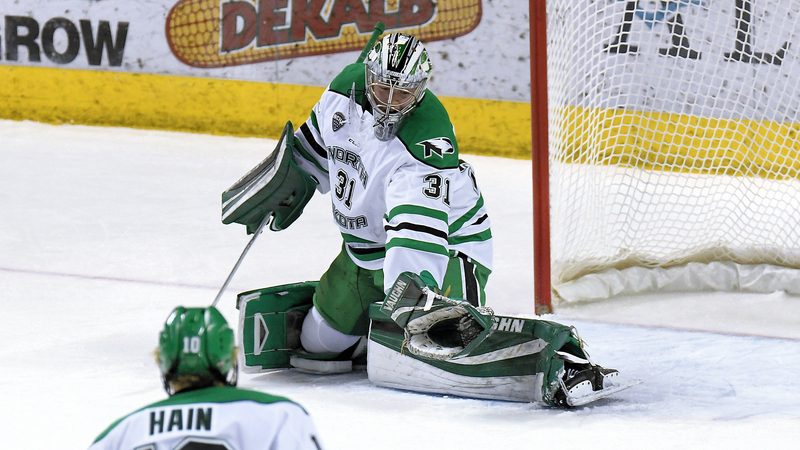 Benson, a senior from Grand Forks, could play this weekend. This will be the last regular season road trip for Benson, who won a state high school title playing for Red River High School with St. Cloud State teammate Jon Lizotte. Fitzgerald, a sophomore from Oak Brook, Illinois, is going to be out 6-8 weeks because of his injury. Sophomore defenseman Tyler Anderson suffered an upper body injury playing in an exhibition game for the Huskies on Dec. 27. 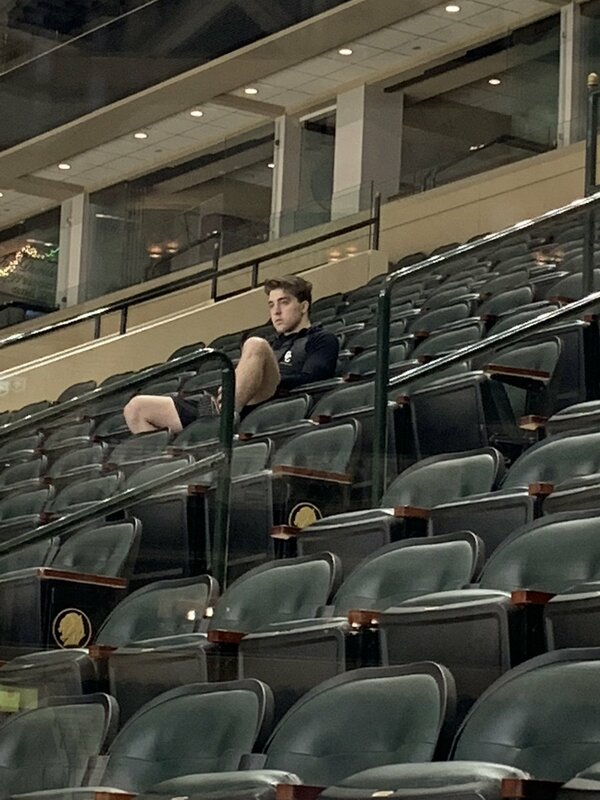 He was practicing with the team and is now out with a lower body injury. 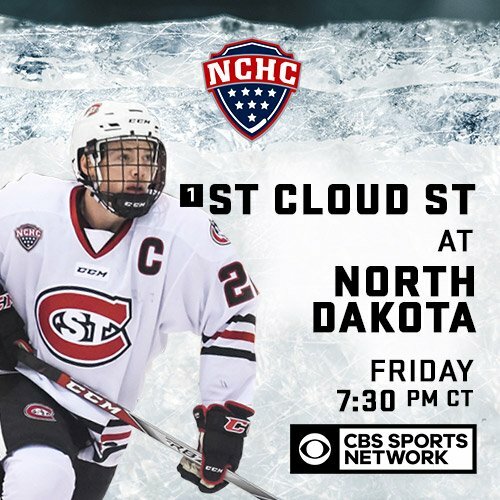 Follow the @SCSUHUSKIES_MH at North Dakota on Jan. 25...watch on @CBSSportsNet with @benholdenpxp @DStarmanHockey and @ShireenRinkside on the call from the REA. Jacob Benson is playing 4th line right wing! 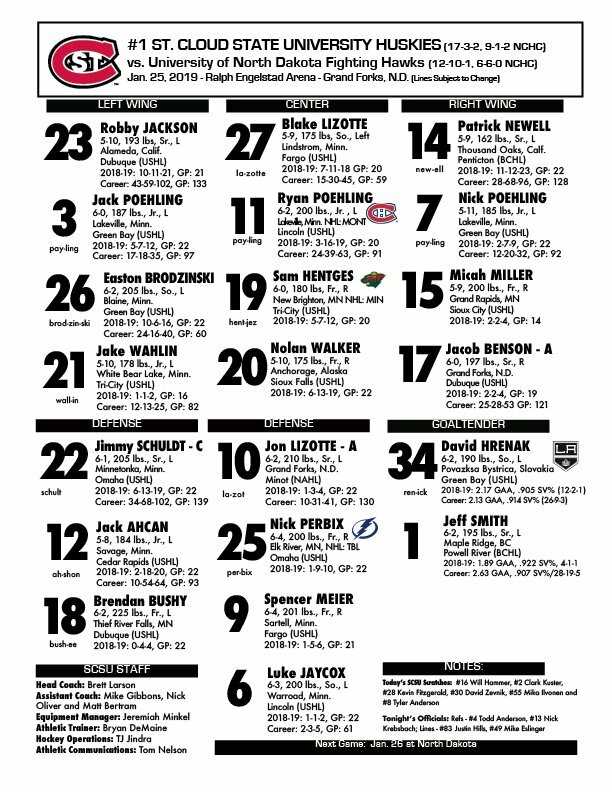 Your lines for @SCSUHUSKIES_MH at @UNDmhockey on Jan. 25. Last edited by hockeypuck on 25 Jan 2019, 21:02, edited 1 time in total. So stoked for this weekend, Huskies vs NoDak games are always among the best! We overcame a terrible first to net 3 unanswered Goals and get the big W! I think Jimmys hit was both a hip check and knee on knee. The refs saw that he was going for the hip check but the knee clearly caught him. I'm pretty sure that still should have been a major for Jimmy but it's either a major or not a penalty at all. The retaliation probably doesn't happen if the whistle blows on Jimmy so they would have had a major that would have gone into OT had they scored in the final 2:08.